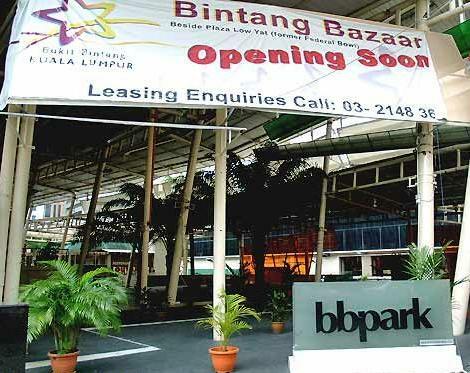 Having missed BB Park would be a huge injustice to yourself if you have scoured the entire Golden Triangle in Kuala Lumpur but have not set foot in this hip and happening place. Do not be disappointed if you do not find a mega shopping complex much less a small one when you get there! Even so, there are a few aces up it's sleeves. Hey, why else would we be classifying this place under our shopping mall category! 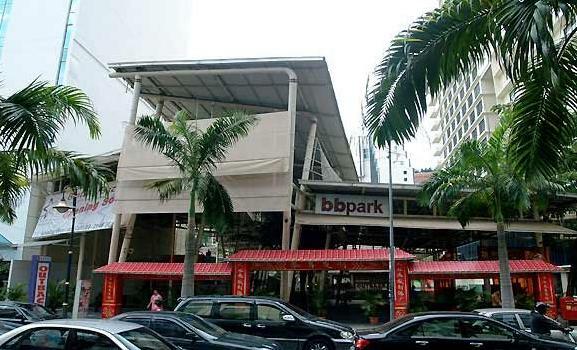 This shopping extravaganza is situated between Federal Hotel, Low Yat Plaza and the YTL Building. Being here makes you feel kinda like you belong and still give you some added surprises. You'll understand what i am talking about if you ever get the chance to visit some day. What you will find here are kiosks offering knick-knacks and curios  just what tourists and visitors will love to bring home as mementos and souvenirs. Walk around the specialised stalls and pick out items like traditional batik, colourful destination T-shirts, ethnic crafts and home decor items. When youre done with the shopping, stop to satisfy your hunger at the food and beverage outlets with famous names like Bangkok Jam and the Outback Steak House or at the road-side stalls selling all-time favourite hawker food. The parks history dates back to the 1930s, when Hollywood Park was built at the present Sungei Wang Plaza site by a group of businessmen. They later sold it to Shaw Brothers, who then upgraded it and renamed it what it is now. The old BB Park was a place for entertainment, fun and food. There was a carnival centre known for its cabaret and dance halls. It had a boxing ring, stage shows, theatres, restaurants, exhibitions and games stalls  until it closed in the early 1970s.